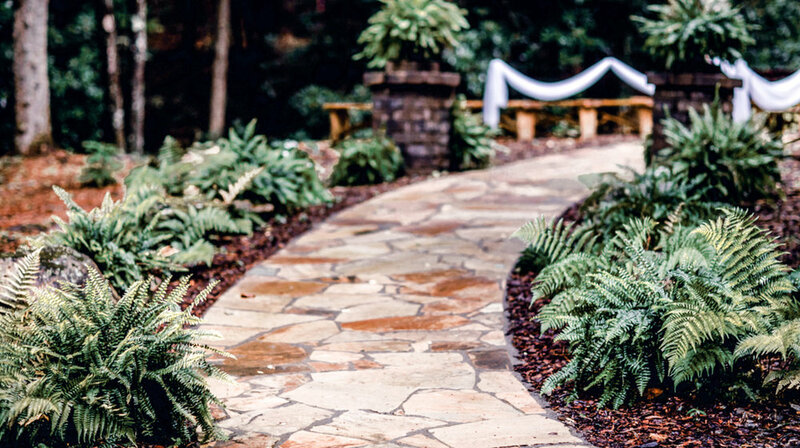 Located in Blairsville, GA, Enotah Valley is the perfect getaway location for your wedding, reception, family reunion, or corporate event. Enotah Valley features 23 acres of scenic land, gracefully surrounded by the national forest. Perfect for weddings, as the facility includes a wonderful outdoor wedding site, as well as a 2200 sq. ft. lodge with a stage. Feels like home, with a welcoming kitchen and covered outdoor patio. Plenty of room on the compound, with the use of three cabins (one single, one duplex) for day use on the wedding day. Access to chairs and tables for up to 100 people, not to mention the convenient service of parking attendants. Whether it's for your wedding day, a family reunion, or a company retreat, Enotah Valley will make your stay breathtaking, memorable, and hassle-free. Please simply fill out the informational guide below or call Linda at 770-654-5894. We want to make your Enotah Valley experience as convenient and trouble free as possible. DRIVING DIRECTIONS: Heading North on HW 129, Enotah Valley is less than 1 mile past Vogel State Park on the right.